That’s right! Hot Glue isn’t just for fake sauces…. 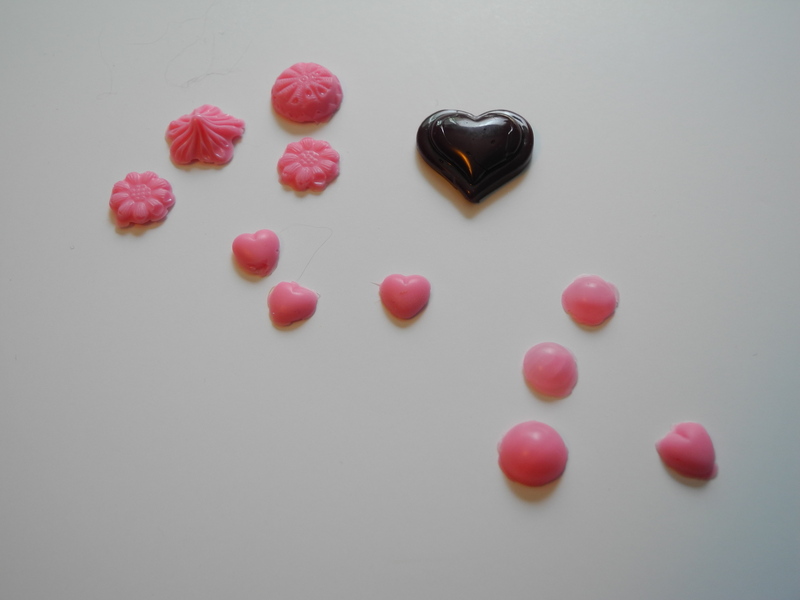 you can use it to make faux chocolate / candy cabochons for your decoden project! Its super easy and fast! And you only need a few supplies for it. You do need to make sure you are using a mold which can tolerate high temperatures. I think most silicon molds are good up to 400F. If it can be baked in the over, its probably okay. There are two methods for doing this. 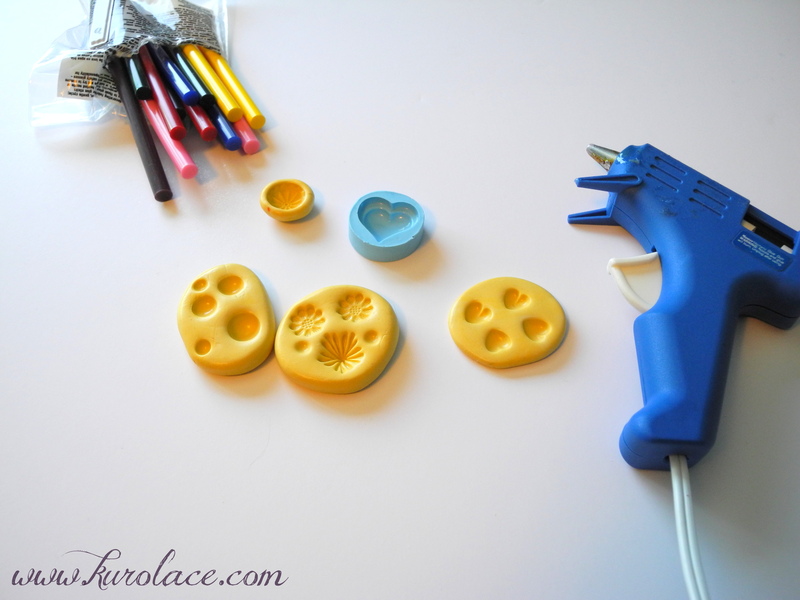 The fastest way is to use the glue gun w/ glue stick to fill the mold. This works well with simple (smoother) shapes, especially if you are using a low temperature glue gun (the glue may start to cool before it can fill all the tiny details of a complicated mold). I have yet to master the skill of holding the camera in one hand, and working with the other hand. The other way is to cut the glue stick into tiny pieces, fill the mold, and then place it in the oven. The Oven method can be used with more complicated shapes since the glue has more time to spread out. Set your oven to about 350F. 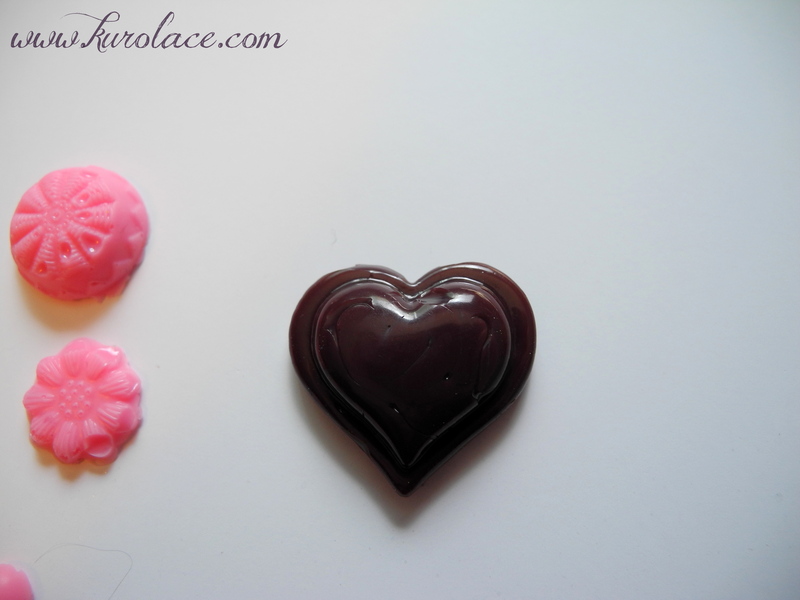 Bake the mold with glue in it until the glue has completely melted and spread out in the mold. 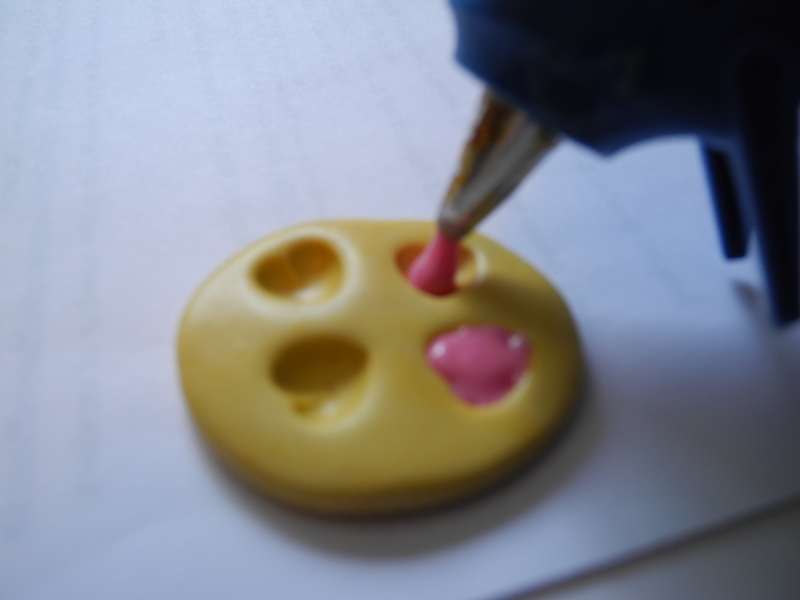 Let the glue and mold cool completely, then pop the finished item out! If the glue overflowed anywhere, you can use a craft knife to trim it off. I used a low temp glue gun, which is why there are so many imperfections. That’s okay, because I can always cut them up and melt them via oven. I had to change glue sticks half way through this, but otherwise it looks very much like a chocolate! An optional step is to paint some glitter nail polish on the finished piece to add some sparkle. I’ve been back at it on Etsy… browsing for things I can’t afford to buy. 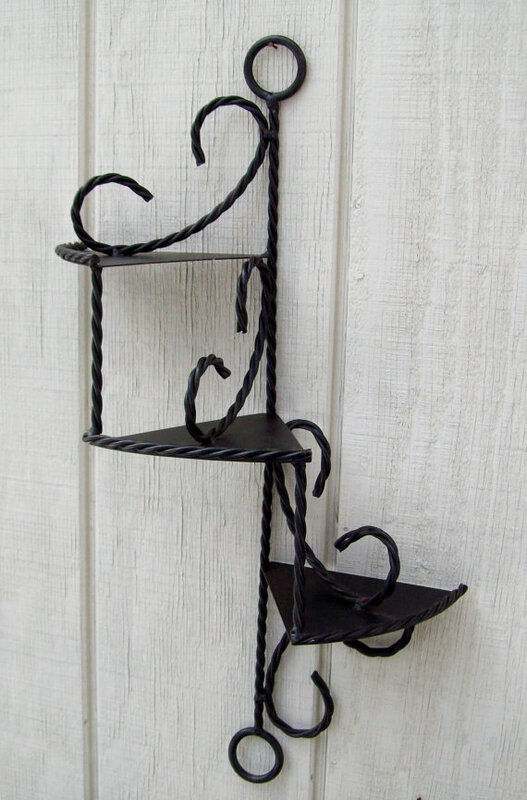 This time I’ve found a few great Wrought Iron items. Many of the wrought iron items on Etsy are vintage things like shelf brackets, wall decor, hangers… but there are some other interesting items as well. For example, this vintage 3 tier shelf caught my eye, because the twist in this one is cool. Also, it looks to be a nice black color (I don’t like that vintage not-quite-black-brown color you sometimes find with vintage wrought iron). Its available from Raidersoflostloot for $18.50. 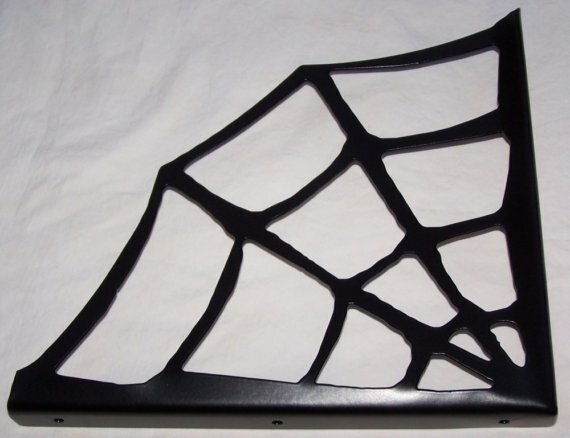 One of the wrought iron makers/sellers on Etsy offers garden gates and shelf brackets, and although I prefer the flower and humming bird designs, I though that this Spider Web shelf bracket was cool. There was also a spider web gate in the sellers shop. The seller is ModernIronWorks and the bracket is priced at $37.99. At first, I didn’t notice that this was a miniature item! 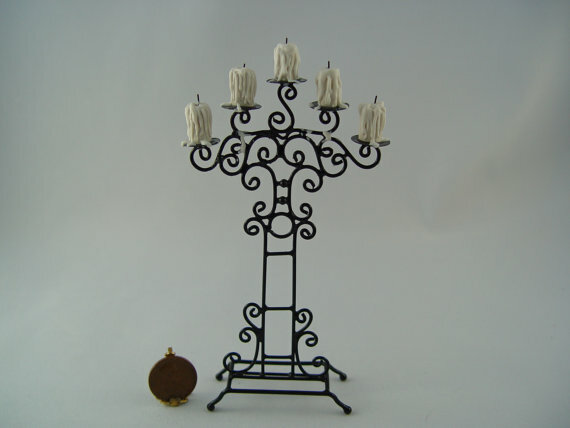 If you’re a miniatures enthusiast or have a (haunted) doll house, you might like this miniature candelabra, which comes complete with candles. The only downside is the price (it is handmade, I assume). Its $49.99 from CathysMiniatures. 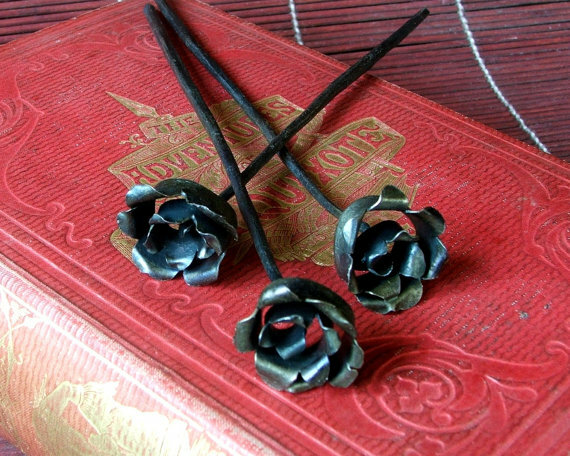 Next I came across these cool wrought iron roses. They aren’t very big, but very cool. The cost about $99 and are from Taitaya, a forge in the UK. There are plenty of wrought iron candelabras available on Etsy, some vintage, some new. But I found a very cool candle holder which combines two of my favorites: wrought iron and stained glass. 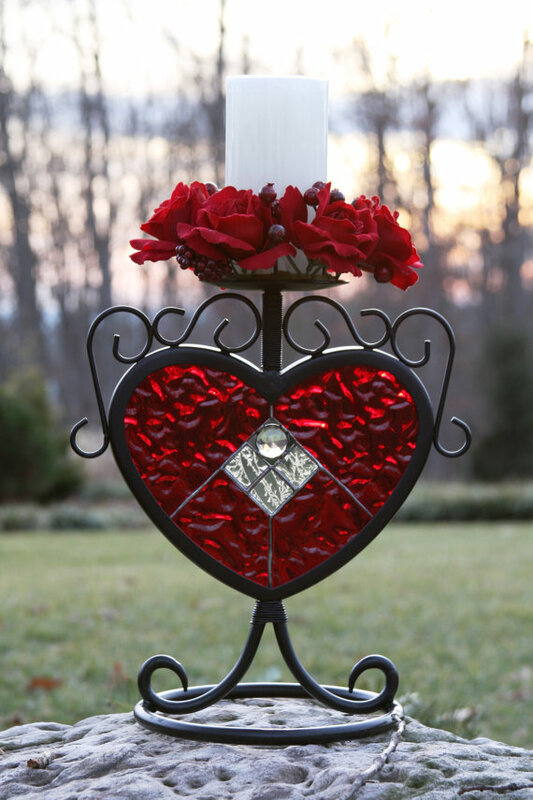 This cherry red heart stained glass candle holder costs $114.99 and is sold by stainedglassturtle. There was also a clear/white one available. Well, there you have it, a wrought iron Etsy wish list. 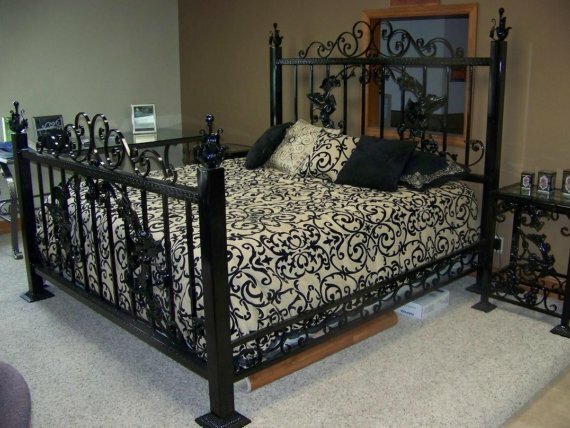 How do you feel about wrought iron?